Earthquake damage can be particularly devastating to the floor-mounted equipment’s such as industry’s data centres or freezers/refrigerators contents in hospitals and laboratories. Going beyond the health and safety of its staff, the loss of uptime resulting from an earthquake can be financially devastating. If a seismic event occurs and the facility is unprotected, the physical damage to servers and IT equipment can also be beyond repair. The combination of loss of equipment and downtime for clients will likely result in the loss of the business in its entirety. Access floors (raised floor) may collapse if not adequately braced and anchored. One option is bolt the data center equipment racks directly to the floor. With raised floors, racks can be bolted to the substructure (see raised access floor). This will secure the server rack to the substructure, but is less secure as it relies on the subfloor remaining intact during an earthquake. Longer threaded lug bolts can be used to drill through the raised floor directly into the slab, which gives slightly better protection. 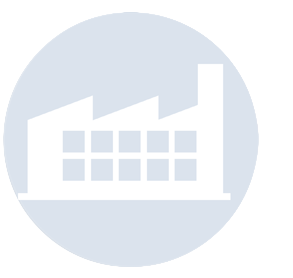 Rigid bolting is the absolute minimum level of protection a data centre should employ. This method physically protects personnel that are working within a data center during an earthquake as the racks have less risk of falling over on a person. However, the seismic bolt down of racks might not protect IT equipment. 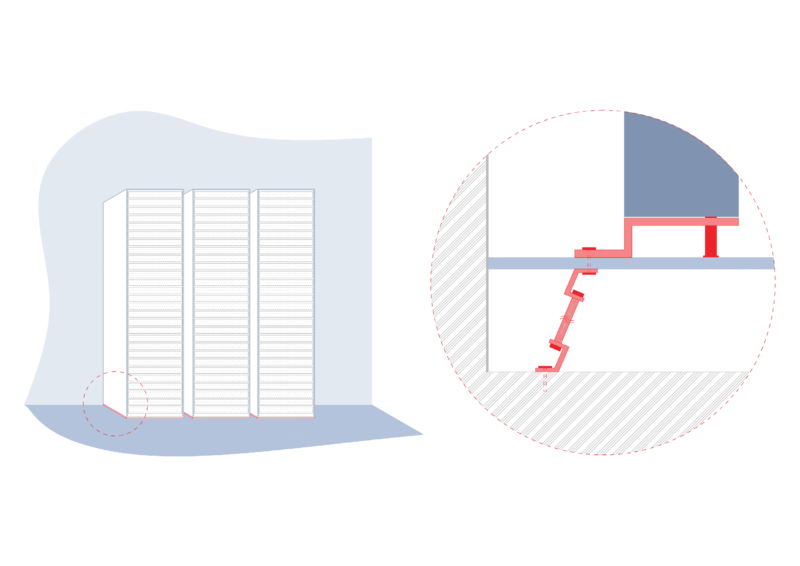 There are other earthquake mitigation options to help protect IT equipment as well as data centre personnel in the event of an earthquake, such as base isolation solutions. 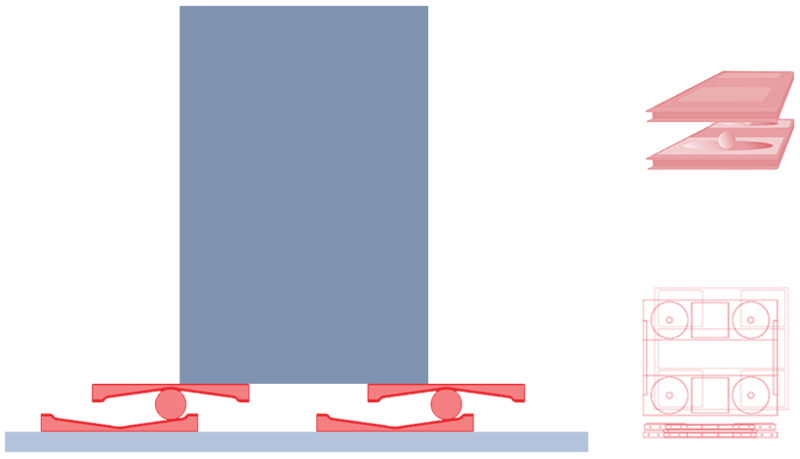 Base isolation technology decouples (isolates) the damaging ground vibrations with the substructure during an earthquake.